The Anna cardigan is almost done, but working with black yarn is challenging. Gigi suggests getting an Ott Lite with a magnifying glass. Gigi wants to cast on everything. They are setting up their yarn into ready to work kits. 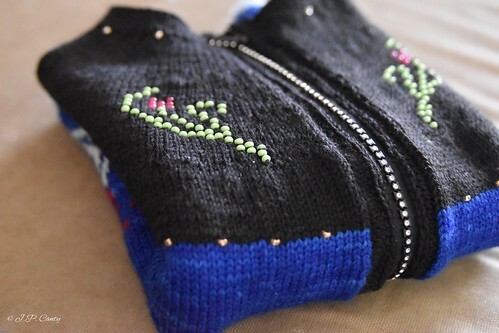 She is knitting Gansey socks, working on second sock, but the diagonal lines aren't showing. Jasmin steeked the Gone Astray cardigan and the Anna cardigan. She is working on installing the zipper now. There are videos of Jasmin doing both. PLEASE INCLUDE. Jasmin will use Anna Zilborg's perfect button hole out of Splendid Apparel. Jasmin talks about a tool that Gigi thinks is called a tambour hook. Jasmin likes the Tech Knitting Blog. Gigi finished another preemie hat. The Knitmores thank all the listeners who brought preemie hats to the meet and greet. Jasmin mentions Octopuses for preemies, and mermaid tail sleep sacks. Gigi wore knitted socks the Quynn hat , and fair isle socks from Little Box of Socks , Lorelei cowl, Knitmore cowl. Jasmin wore her Kit Kat hat. Genevieve wore her Kat hat, and Elsa gloves. Rex wore the Welcome to the Flock cardigan, bumble hat by CC.Also she is planning to wash Genevieve's gloves in Beyond Clean. Jasmin mentions the Viajante, and the Brambleberry. Also, we talk about the Knitmores 11 contest, and the awesome video Lanois made. It was absolutely hilarious. She wins the big swag bag. We were so impressed, we decided to have a Knitmore goody bag (slightly different) as a second prize. This week we answer a question from the What do you want to hear about? about the right or wrong direction to knit yarn of a ball. Jasmin mentions Knitting for Anarchists. 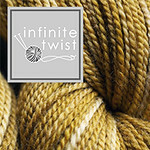 Let us know about yarn and twist and right and wrong in the episode thread. Jasmin had the wrong color thread for her zipper. Jasmin mentions Coffee with C.C. Gigi has been pinning on Knitmore ribbons on the project bags and she ran out of pins. Leslie from the Knit Girllls is making a quilt, and Gigi had ordered the same kit. Jasmin did two different steeks and we filmed both (Gone Astray, Anna Cardigan).